Born in Budapest, Hungary, Gabor Kali began playing the piano and the violin at an early age before graduating as a solo pianist from Bartók Béla Konservatorium in Budapest. He was the recipient of various awards including Third Prize at the Hungarian Piano Competition of Hungarian Conservatories and at the Hungarian National Chamber music Competition. Kali continued his piano studies under Péter Nagy and began studying conducting with Tamás Gál at the Franz Liszt Academy of Music in Budapest. In 2004 he became an Erasmus conducting student at the University of Arts in Berlin, where he finished his studies with a diploma in 2008. His teachers were Lutz Köhler and Harry Curtis. He was also chosen as a member of the Conducting Forum of the German Music Society (Dirigentenforum), wich made it possible for him to participate in conducting courses given by Kurt Masur, Peter Eötvös, Bernard Haitink and Colin Metters. Kali recieved an invitation from Daniel Barenboim to audition at Berliner Staatstoper. 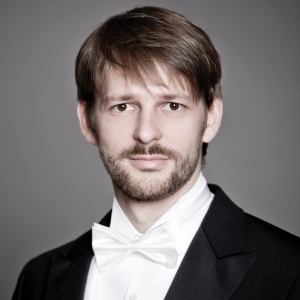 Since 2015 he is Assistant Musical Director and Principal Conductor at Staatstheater in Nürnberg Germany, where he has given and continues to give an enormous number of opera, operette, musical, ballet and concert performances with Staatsphilharmonie Nürnberg. He has appeared as a Guest Conductor several times with the Hungarian State Opera Budapest and in concerts with orchestras such as Stuttgarter Philharmoniker, Bohuslav Martinu Philharmonic Orchestra and the SONARTEN Ensemble for modern Music. In 2018 he will continue guest conducting and will be Assistant to Iván Fischer at Konzerthaus Orchester Berlin and to Christian Thielemann. Kali was also a jury member of several competitions for singing, chamber music and wind instruments.